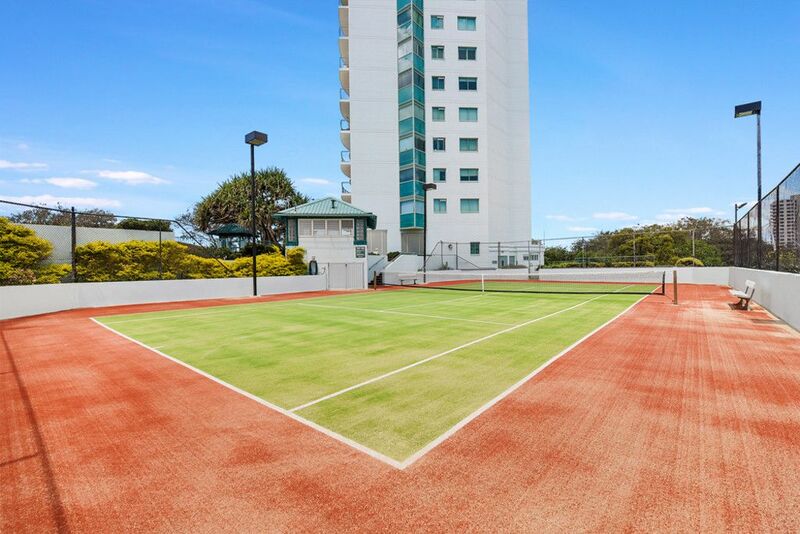 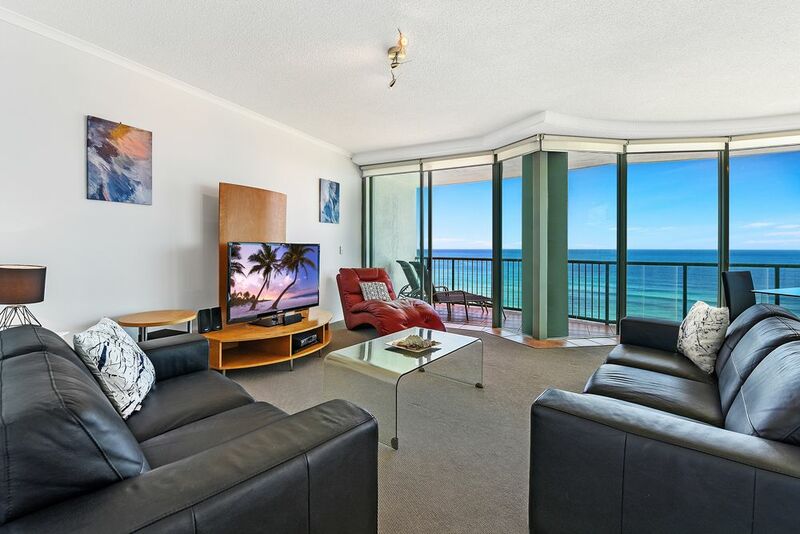 Situated on a high floor with a south easterly aspect this half floor apartment offers the ultimate in beachside living. 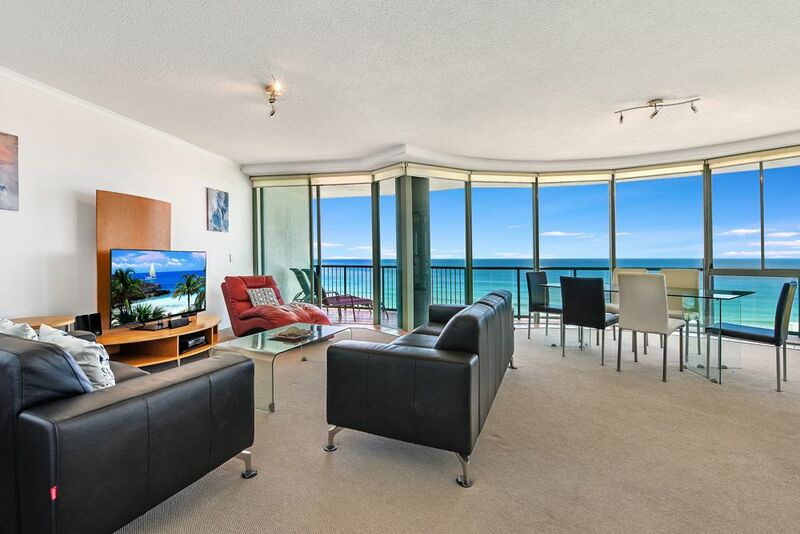 One of only two buildings in Main Beach which has not only beachfront but also riverfront access where you can have your boat moored out back (subject to availability of marina berth). 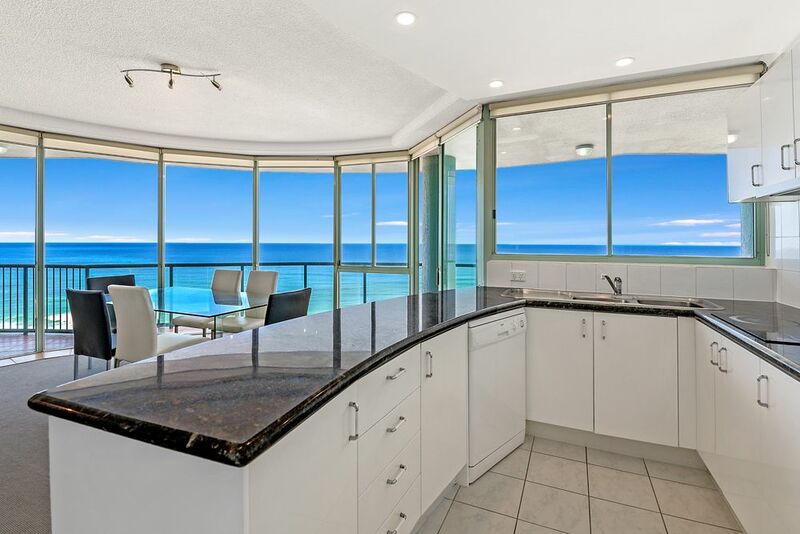 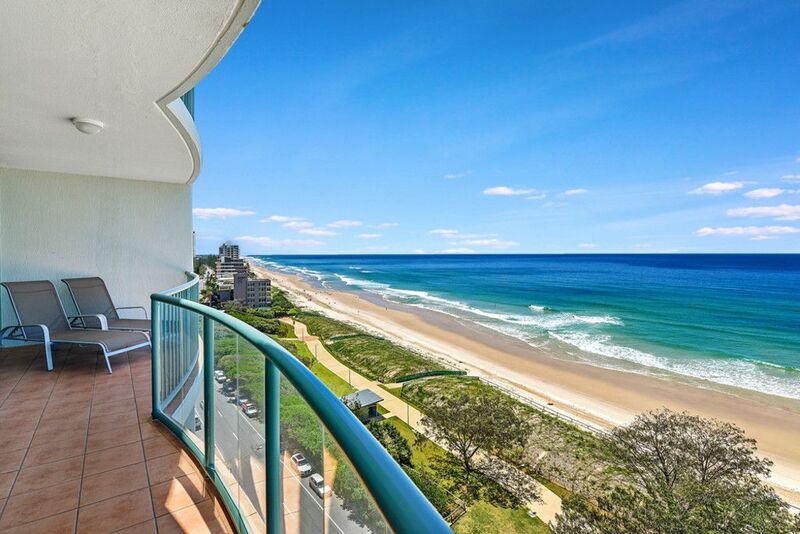 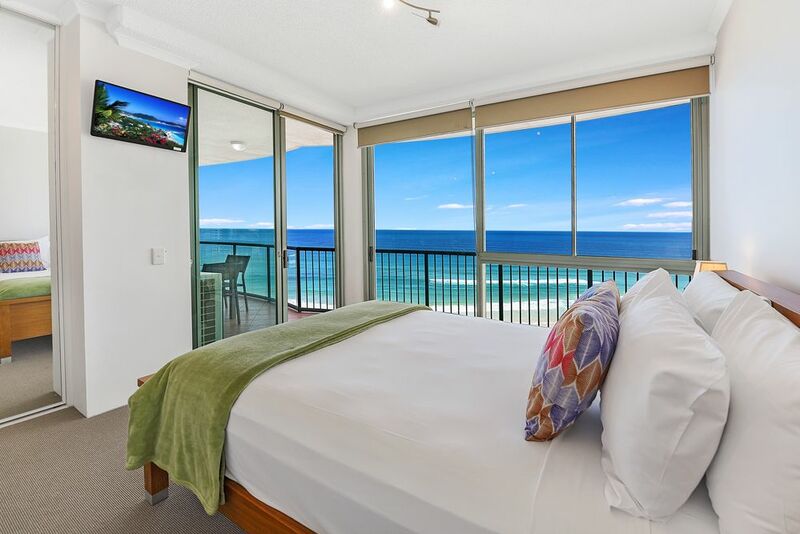 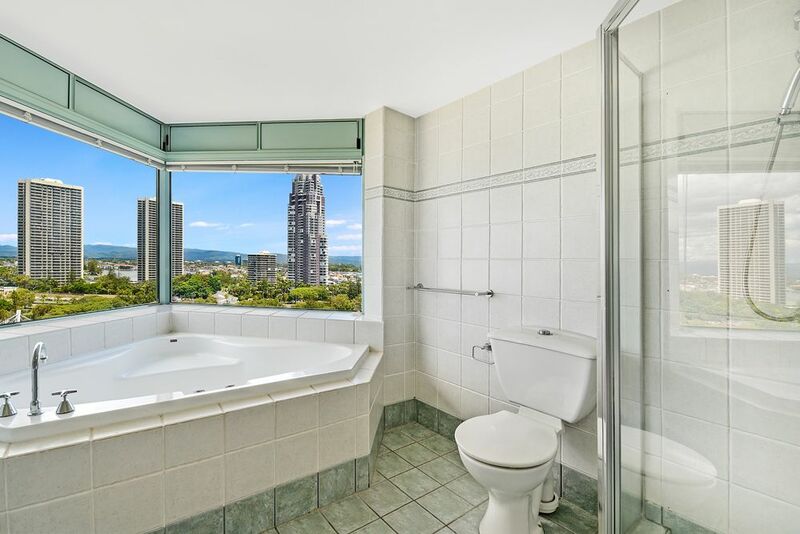 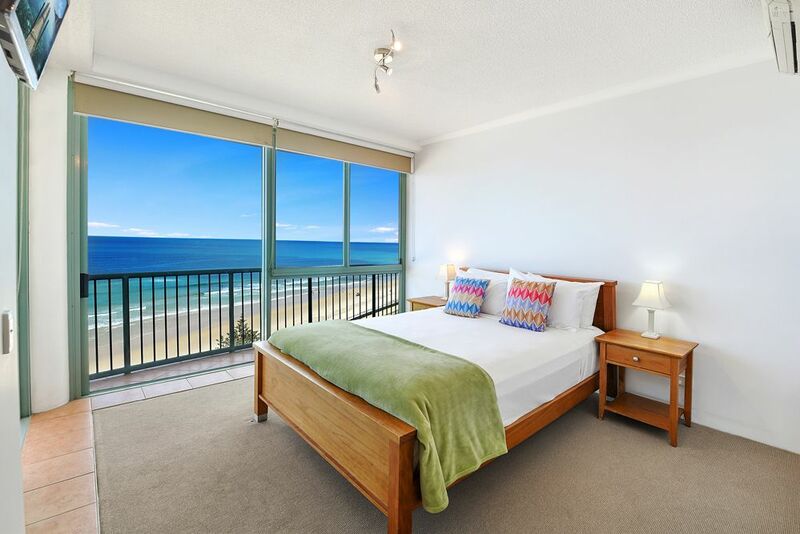 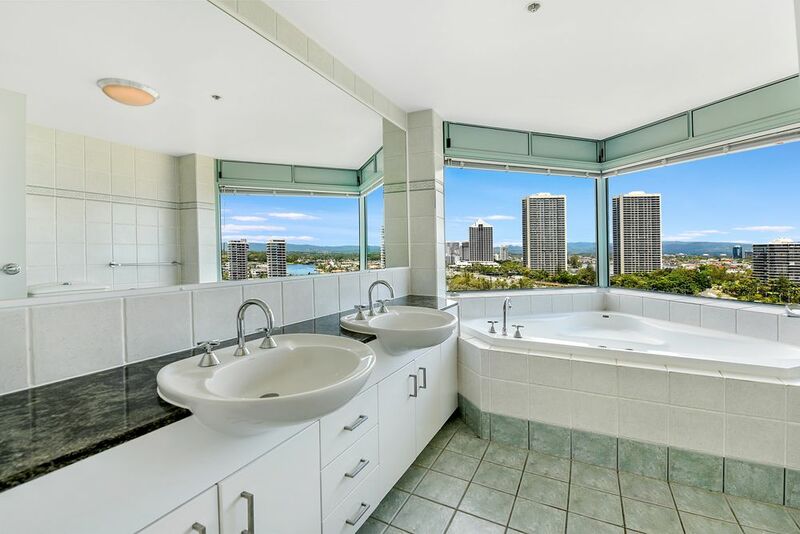 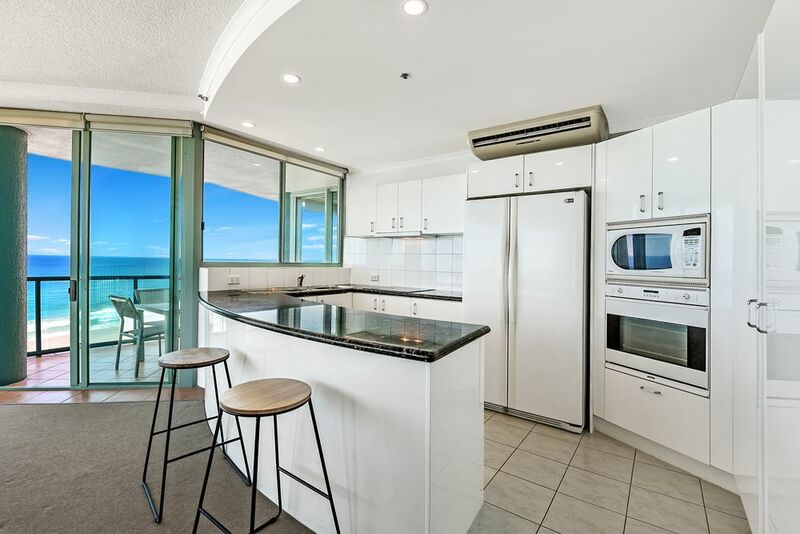 This apartment offers large open plan living areas all flowing out to wrap around balconies to take advantage of mesmerising ocean views all the way up to the Broadwater and down to Coolangatta. 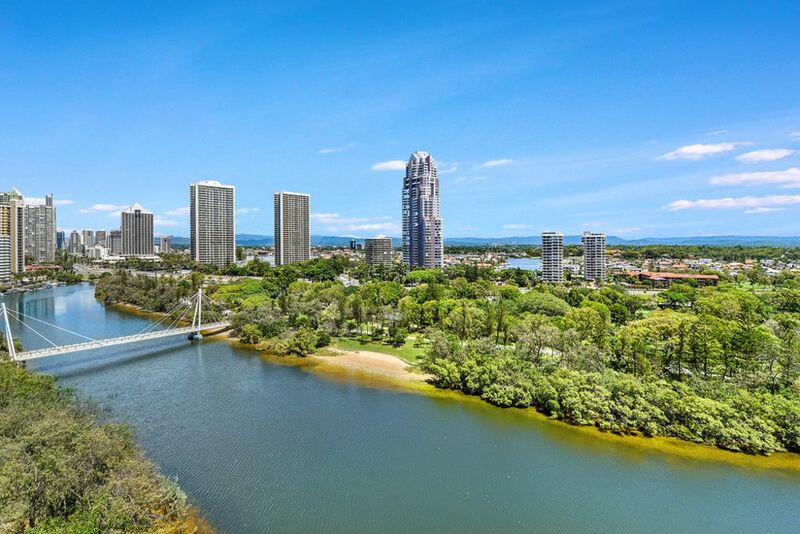 Motivated vendors are not testing the market and will consider all serious offers. 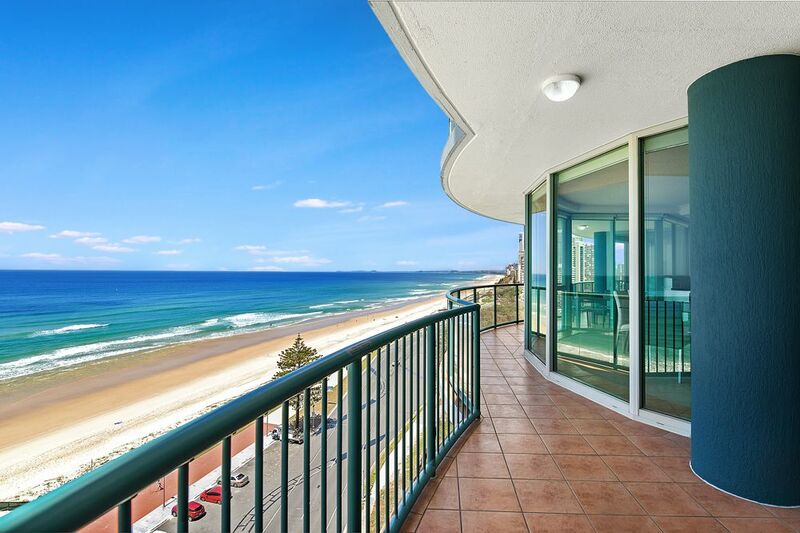 This is a once in a lifetime opportunity to purchase your dream holiday getaway right on the ocean with never to be built out views – ever! 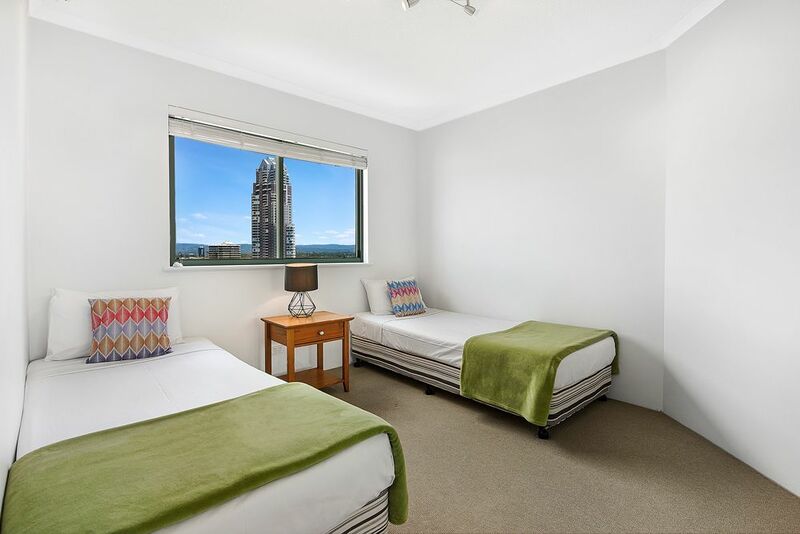 Apartments in this sought after building are tightly held and are rarely available on the market. 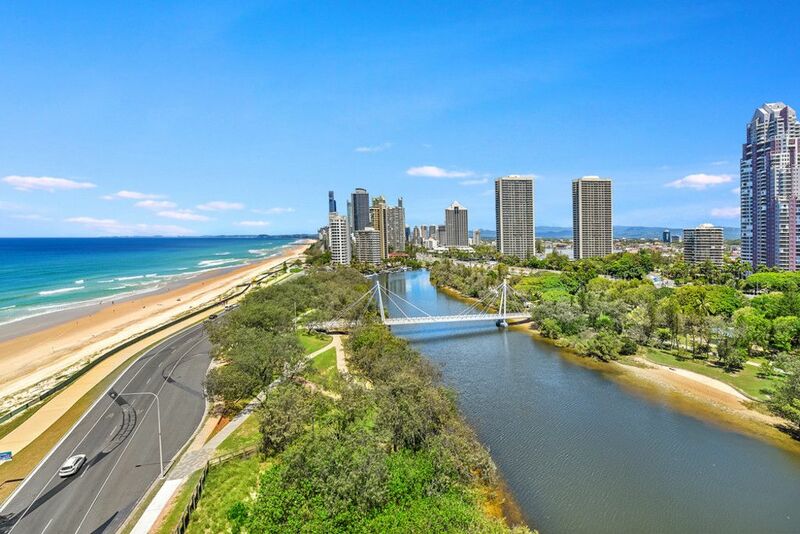 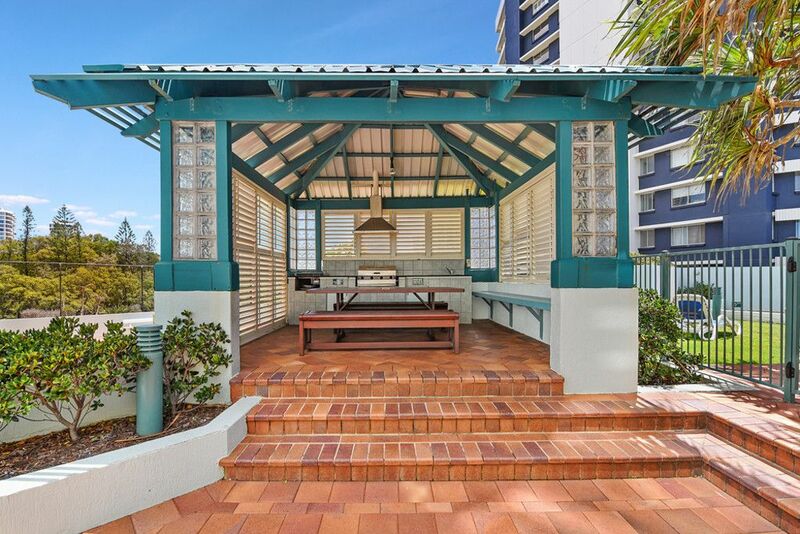 Don’t miss your chance to capitalise on this exciting opportunity to secure one of the most sought after beachfront locations on the Gold Coast. 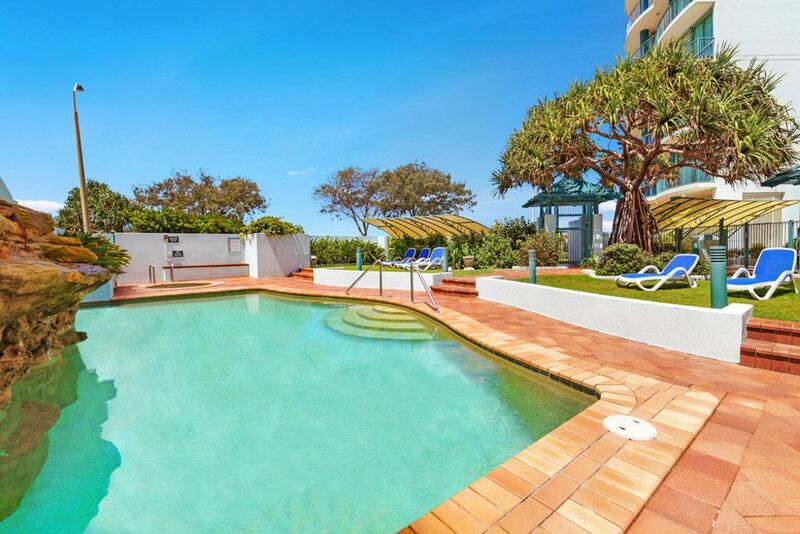 With the option of holiday letting this property offers a very attractive return. 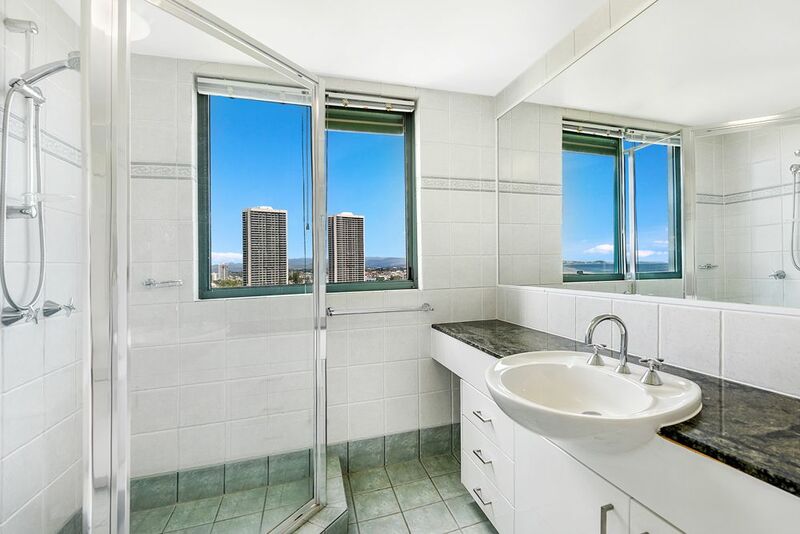 Detailed potential income statement available on request. 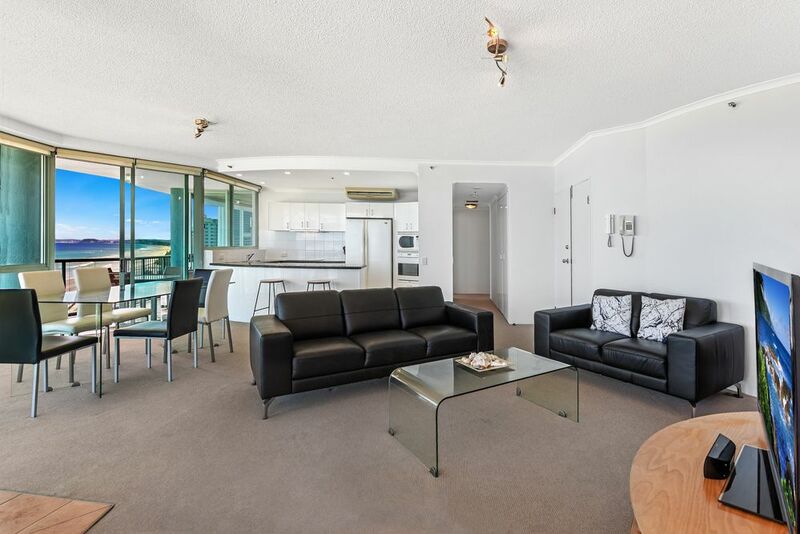 Excellent management team on site to take care of your investment.